A young Red-Tailed Hawk was brought to a wildlife clinic for treatment. It was identified as a hatching year bird by the brown striped tail. If it is part of the 20% that makes it to the second year, it will molt the striped feathers and acquire the red tail after which it gets its name. This particular bird was very thin and dehydrated, had lice and flies in its feathers, lesions on its eyes, and porcupine quills in its mouth and feet. The veterinarian did not take x-rays, but didn’t feel any broken bones upon palpation. West Nile Virus is a common cause of death and unusual nervous signs in raptors during the summer and fall, so we test all the birds for the disease. We can look for virus DNA (called a PCR test) or antibodies in the blood that would be produced by the bird after an exposure. This bird had a high antibody test and may have had a recent infection with West Nile Virus. It was given antibiotics and an anti-inflammatory medication as supportive care, a dusting with pyrethrin for the parasite, fluids to combat the dehydration, and had the porcupine quills removed. The bird started to improve, and was expected to be a releasable animal… until, just short of a month later, it was found dead with some blood from the nose and mouth and its beak biting at the chest feathers. For each case that is seen, the veterinarian or pathologist runs through a list of differential diagnoses, or a list of possibilities that could explain the illness or death of the animal. Each diagnosis is elevated or downgraded on the list as more “clues” are gathered. In domestic animals, the history given can contribute valuable information, but we don’t have this luxury for most wildlife that we see. We can, however, use our knowledge of the biology of the species or other clues such as time of year to aide us. 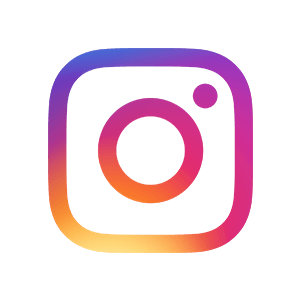 Sometimes the final diagnosis can be backed up with test results, other times all evidence points to a particular cause of death, but it cannot be proven. 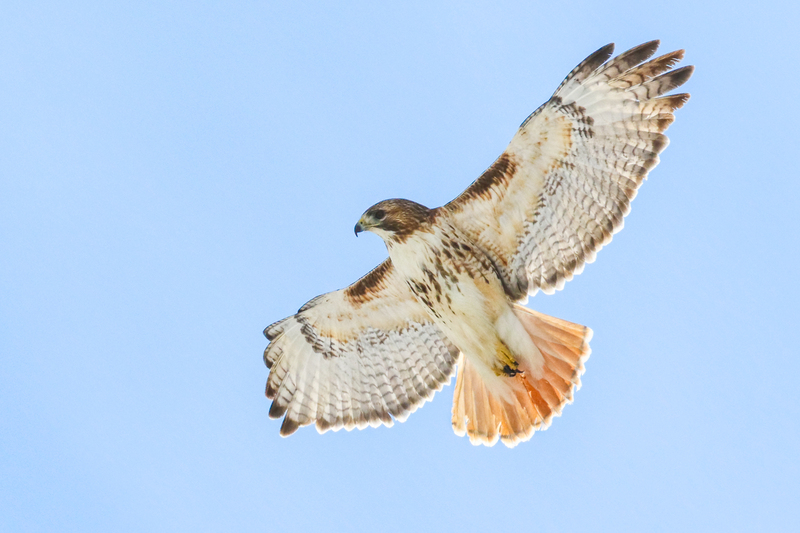 Using what we know about this Red-Tailed Hawk so far, can you deduce a list of differentials? 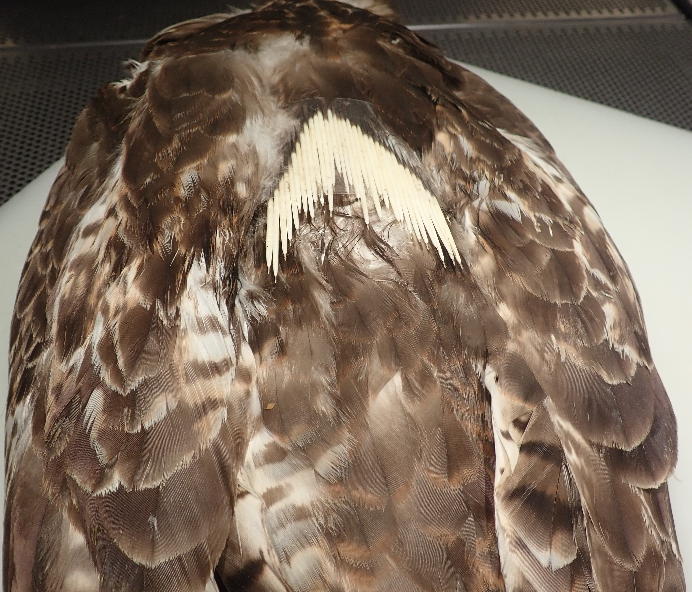 The hawk was submitted to the Cornell Wildlife Health Lab for necropsy (an animal version of an autopsy) to find out why it died. It was found to be in good body condition at the time of necropsy. However, when we opened it to examine its innards, we found five porcupine quills within the body cavity. They had become embedded in the hawk’s organs, and caused trauma and bleeding that resulted in expiration of the bird. Porcupine quills are often found in young, inexperienced or sick animals, since most healthy adults are too smart to go after a porcupine. It may have been an illness in this bird, such as the West Nile Virus infection, that made him resort to scavenging a porcupine. 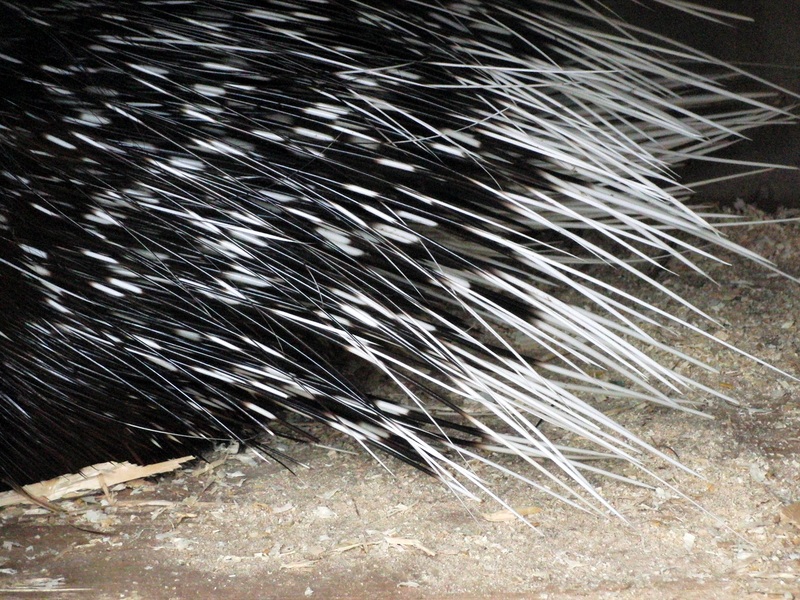 Though the visible quills had been removed, quills are barbed on the end and they can migrate within the body, causing morbidity or mortality at a later date. They do not show up on x-rays. Interestingly, porcupine quills are also a red flag in raccoons that the animal might have rabies- again, because normal animals won’t usually attack a porcupine. The exception to this is fishers, who specialize in eating porcupines. We taped an array of porcupine quills to the back of the hawk and x-rayed it, confirming that quills are not radiopaque. 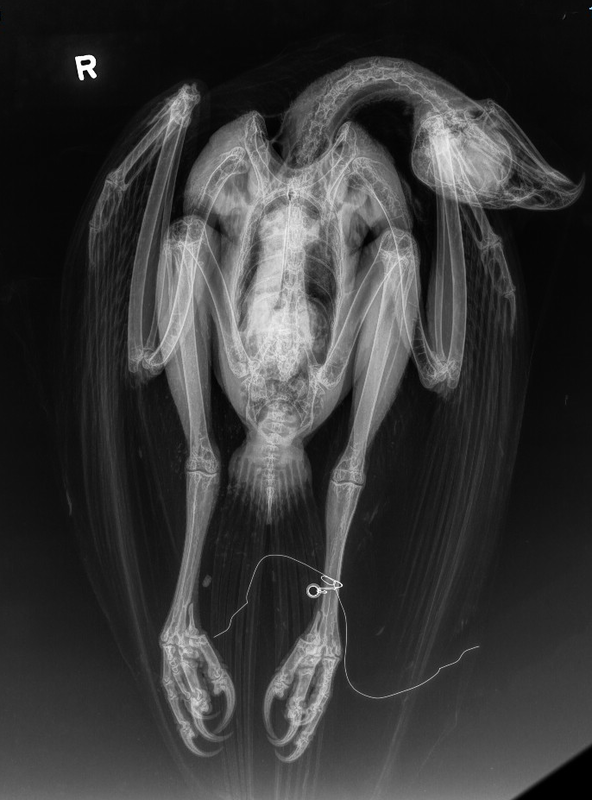 Radiograph of Red-Tailed Hawk with quills taped to it (not visible). After necropsy, we perform histology (microscopic examination of tissues) on each case to ensure that we don’t miss evidence not visible to the naked eye. Where one of the quills entered an airsac of this bird, we found Aspergillus, an environmental fungus that causes an infection called Aspergillosis- often found in animals that already have weakened immune systems, and common in raptors and waterfowl. 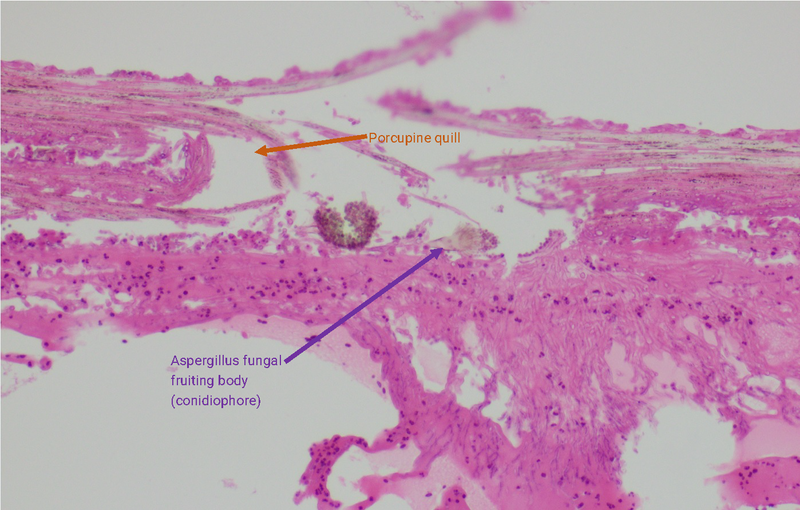 The necropsy and histology gave clear answers in this case, and the pathologist can confidently state that the cause of death in this animal was trauma from the porcupine quills and subsequent hemorrhage and necrosis (bleeding and death of tissues and cells), as well as secondary aspergillosis of the airsac.